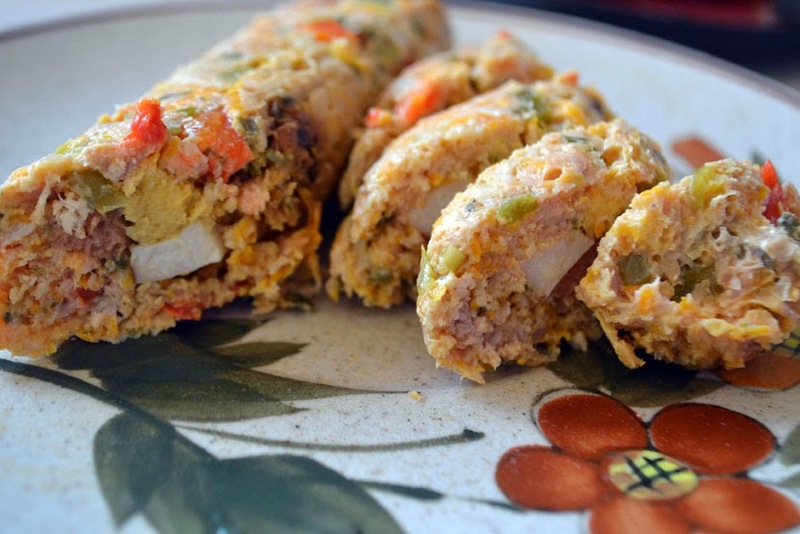 The Filipino version of the meatloaf - the embutido - usually makes an appearance during celebrations only. Perhaps it's because making this dish is a bit labour intensive. It takes time to make a batch. But that's not to say it's difficult to do. Check out the procedure below and you'll see what I mean! 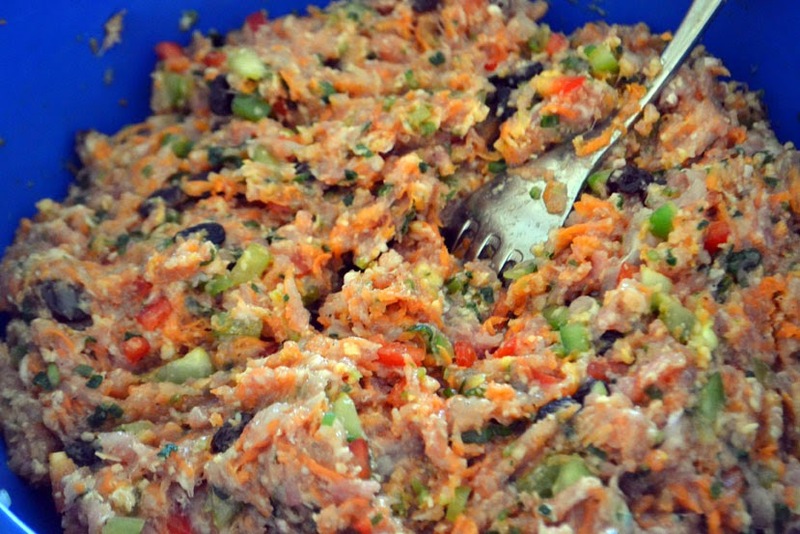 Since it is steamed, embutido is already cooked as is and can be served cold. However it tastes best when sliced then fried, paired with ketchup or your favourite dip with meat. 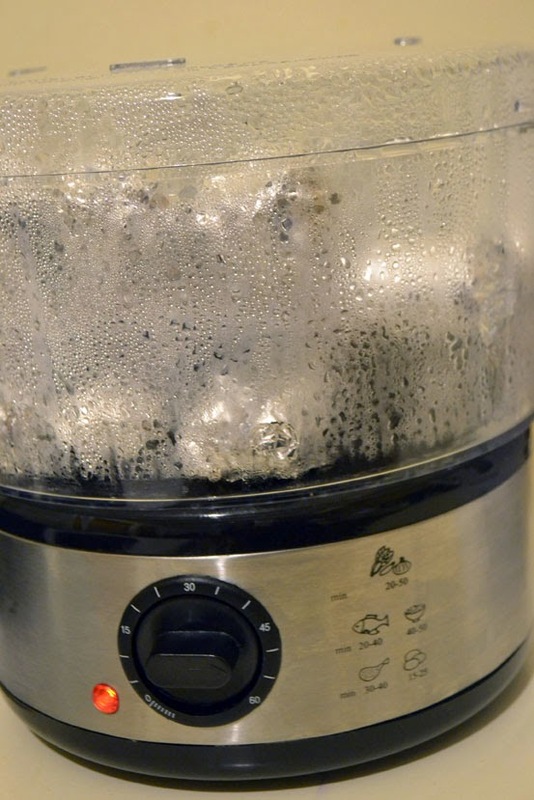 Note that you will need a steamer (or a similar device) to make embutido. 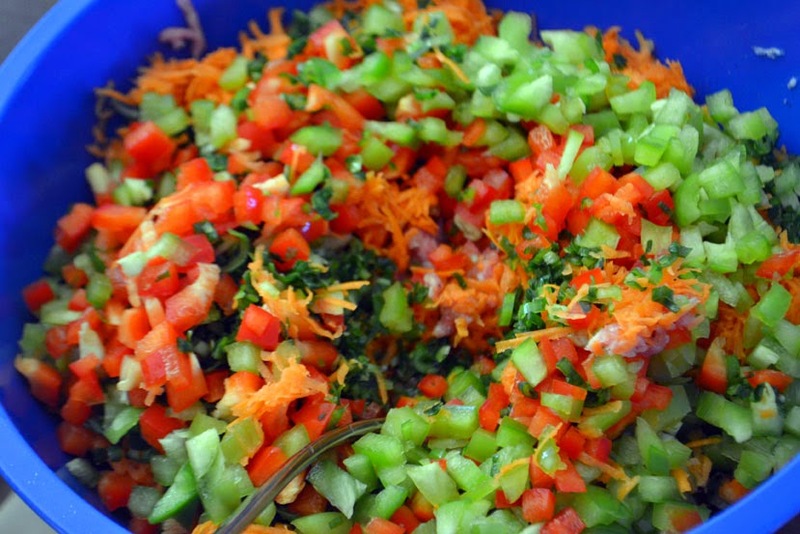 Mix the carrots, spring onion, capsicum, pickle relish, raisins, onion, cheese, chicken and pork in a big bowl. 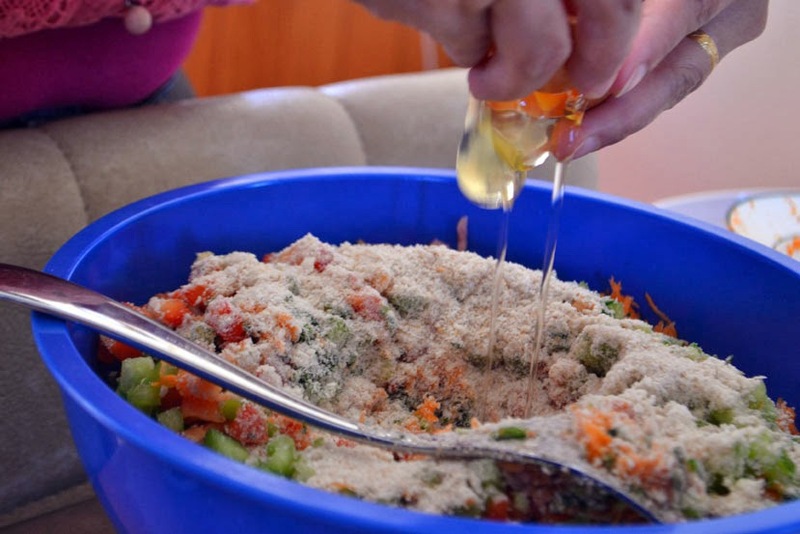 Next, add the breadcrumbs, ketchup, and break in the 2 raw eggs and mix thoroughly. On a separate plate, slice the hard boiled eggs. 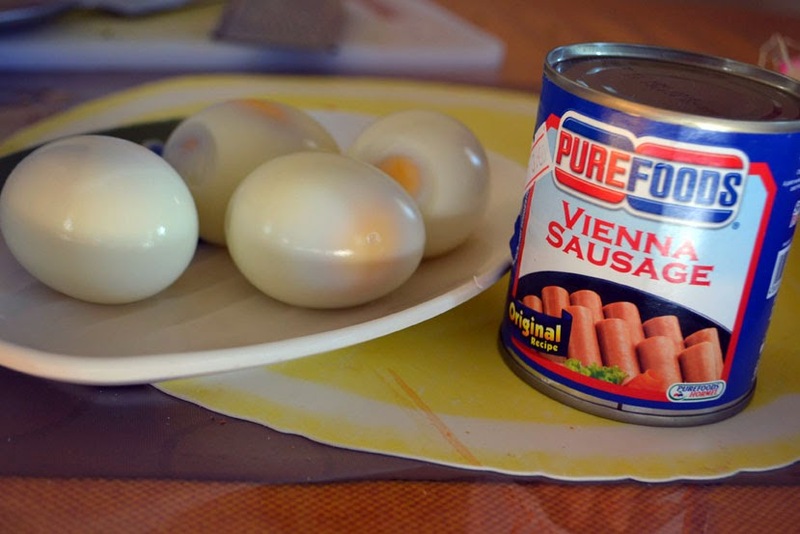 Slice the vienna sausages. The size of your embutido depends on how big your steamer is. 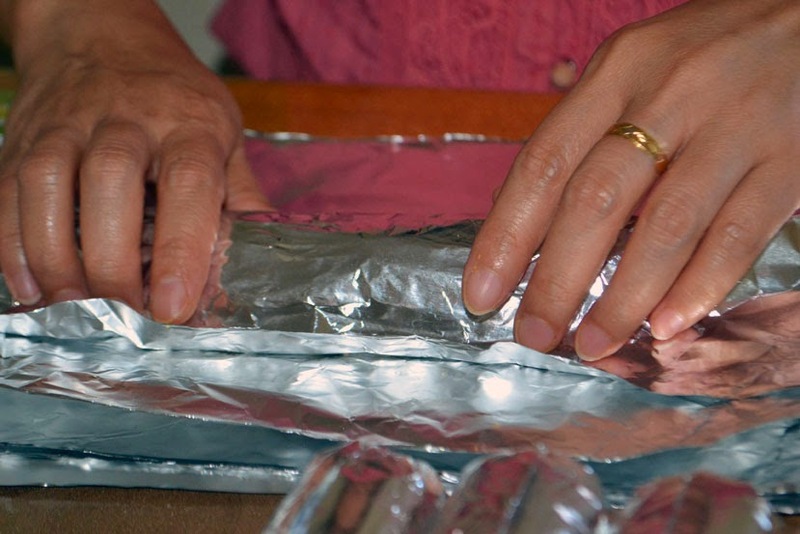 With this in mind, cut up the aluminum foil into rectangles. 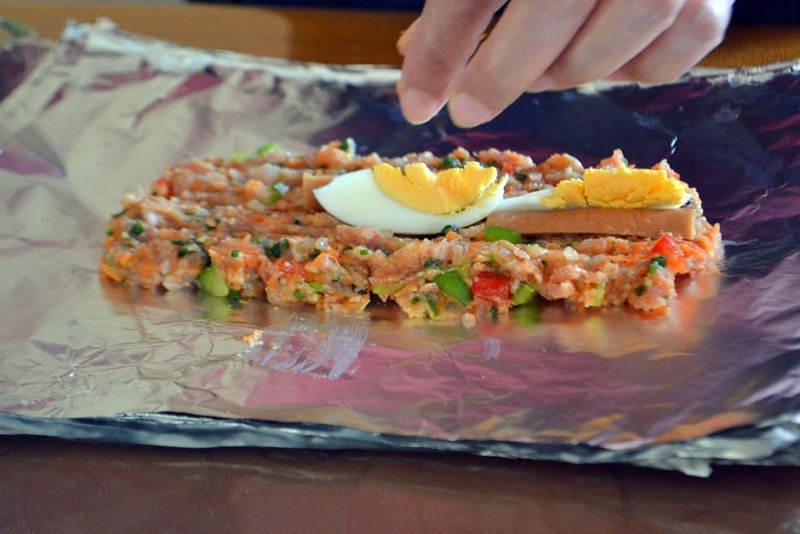 Arrange the meat mixture into the centre of the foil. 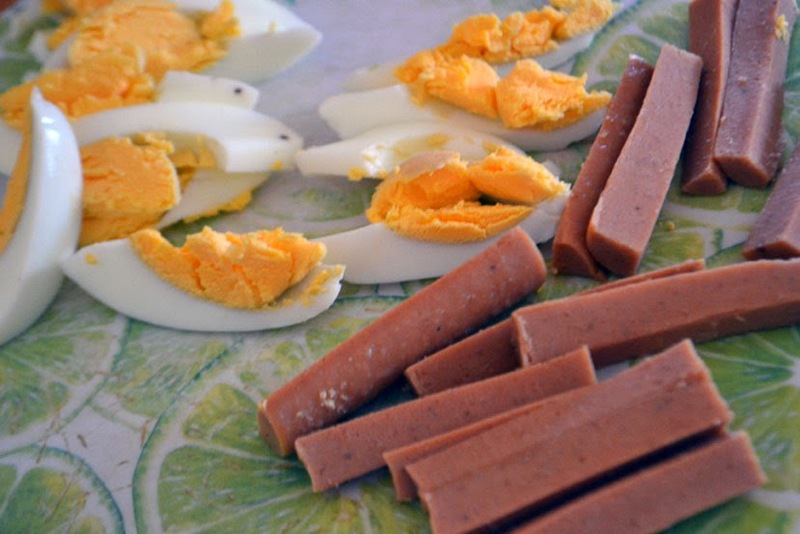 Then place an embutido slice and egg slice side by side, forming a line across the mix. 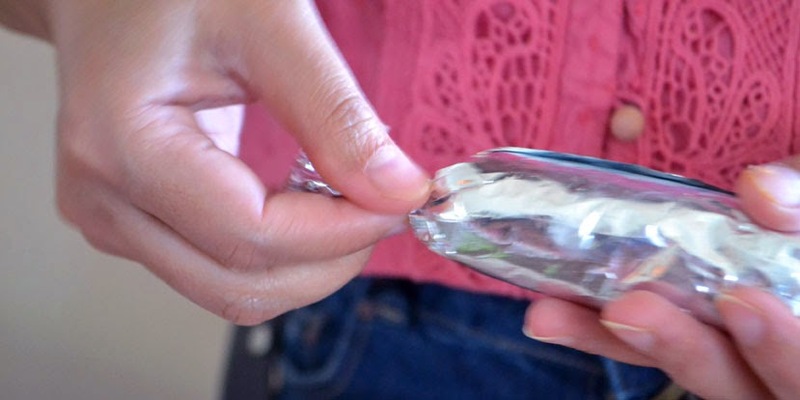 Fold the aluminum foil over, then roll, folding both edges to close. 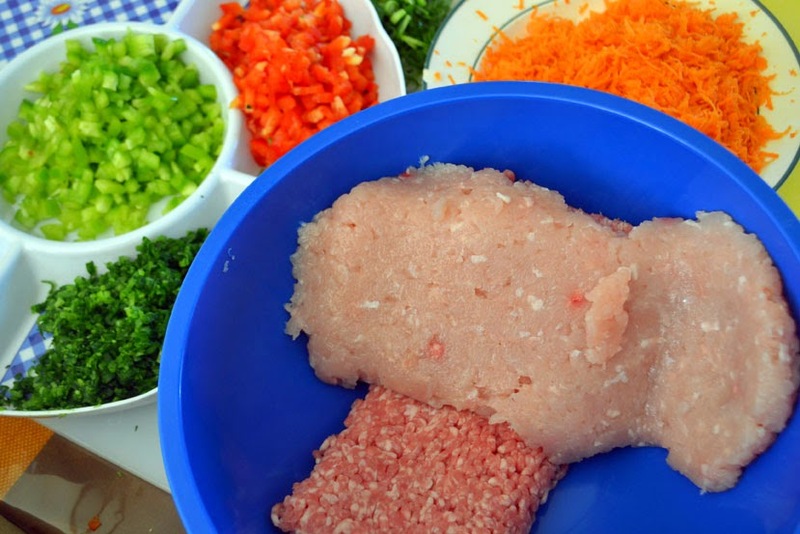 Then squeeze both edges to seal the meat loaf. Steam your embutido for an hour. Store the embutido in the ref for the pieces you are eating relatively soon, and freeze the rest. Serve sliced and can be eaten cold, or fried til lightly browned (I prefer the fried variety).